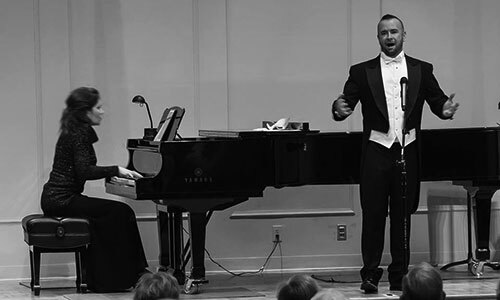 With an extraordinarily broad vocal range and natural fluency in many musical styles, countertenor Terry Barber has been featured on some of the world’s most storied stages and has worked with many of the music industry’s most prestigious figures. Terry’s most recent recording project, Christmas Presence, was released in late 2015. It was produced by seventeen-time Grammy-winning “classical producer of the year” Steven Epstein (who produced albums for Wynton Marsalis, Placido Domingo, Bobby McFerrin, Yo-Yo Ma, and Idina Menzel) and includes the hit duet, “Christmas Once More,” featuring opera star Denyce Graves. In recent years, the focus of Terry’s career has been more than 150 international solo tour performances. 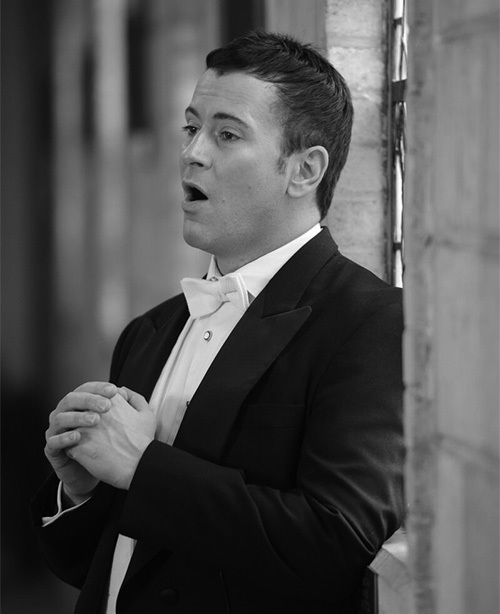 The first and only countertenor ever to be booked in the “Live on Stage” network, Terry was a favorite with almost 50 bookings throughout the USA in the 2013-14 season. 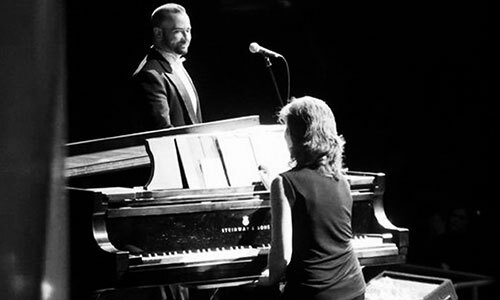 His current programs include, “The Many Voices of Terry Barber”; an entertaining exploration through light musical theater, classical, and popular works, “Around the World in 80 Minutes”; unique arrangements by Emmy and Grammy-winning composers of the world’s favorite melodies in 10 languages (with songs like Danny Boy, Besame Mucho, La Vie En Rose, Bridge Over Troubled Water) “The Music of Andrew Lloyd Webber” – with hits from ten of his most beloved shows, and “The Christmas Presence”, a holiday program of classics, classical, and popular favorites. Terry’s solo tours began with, “A Sacred Journey”, a history of western sacred music in song. Offering Gregorian chant, sacred favorites from major composers and ending with a spiritual and modern recognizable songs, the tour has had over 50 performances throughout the USA and raised thousands of dollars for community improvement programs. Mr. Barber’s tours were selected by the Department of Culture, and approved by the Senate, to represent the state of Florida for their touring roster. “A musical experience; entertaining beyond what we imagined “classical” could be, and yet informative and inspiring. His use of voice challenges what we thought possible and every performance is delivered as a piece of theater. He took our audience by the hand and helped them to connect with the art, resulting in laughs, tears, and a real connection with this genuine artist we can’t wait to invite back. His concert was among our all-time favorites”. As a member of the multiple Grammy-winning ensemble Chanticleer, Terry was hailed, “…the jewel in Chanticleer’s crown…” while performing classical, gospel, jazz and folk music in a over dozen languages at more than a hundred concerts around the globe. Following incredible success at Moscow’s Svetlanov Hall for the international “Art-November” festival, Terry was asked to entertain at the Russian Embassy in Washington D.C. for the 20th anniversary of Tretyakov Arts Magazine. A recognized language expert, he was the only entertainer asked to sing in Russian at the Library of Congress to celebrate poet, Mikhael Lermontov. Terry has worked under the baton of many of the world’s most accomplished conductors including Armiliato, Leonhardt, Rousset, Parrot, Norrington, Kramer, Llewellyn, Bicket, and Tilson Thomas and joined the roster of the Metropolitan Opera for their staging of “Sly,” starring Placido Domingo. He made his New York City Opera debut in 2001 in “Il Ritorno d’Ulisse in Patria” and covered Daniel Taylor in the NYC Opera’s production of Handel’s “Rinaldo” starring David Daniels. In summer of 2002 he performed at the International Spoleto Festival in Purcell’s “Dido and Aeneas.” Terry made his debut at Carnegie Hall singing the role of Orlovsky in “Die Fledermaus” with the National Chorale under Martin Josman. He was also featured with the Portland Baroque Orchestra in Handel’s “Messiah” under the direction of Nicholas Kramer and with the New Trinity Baroque Orchestra of Pergolesi’s “Stabat Mater” (with Evellyn Tubb) which prompted the Atlanta Journal Constitution to rave that “…his grasp of the texts and elegant phrasing made for charismatic singing” and “Barber has star quality”. In 2009, Terry founded Artist for a Cause Inc., a non-profit which helps visual and performing artists to use their talent for community improvement. His personal work with the organization includes the aforementioned “A Sacred Journey” tour program as well as “Classical for Schools” which will impact more than 10,000 students this year throughout the USA and Canada through a performance lecture, challenging their notions about what is possible with the human voice, and recognizing the importance of arts education and a classical foundation within the arts. 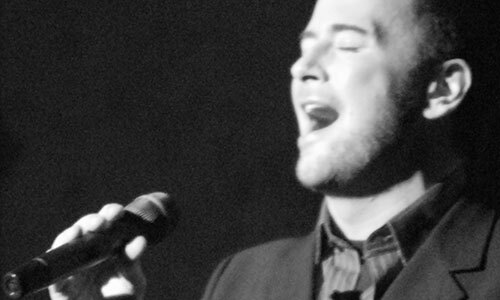 Terry received his Bachelor of Music degree in vocal performance as well as a Musical Theater Certificate and Music Technology Certificate from Northwestern University. He received his Master of Music degree in historically informed performance from London’s Trinity College of Music where he also received a post-graduate performance certificate with highest distinction. 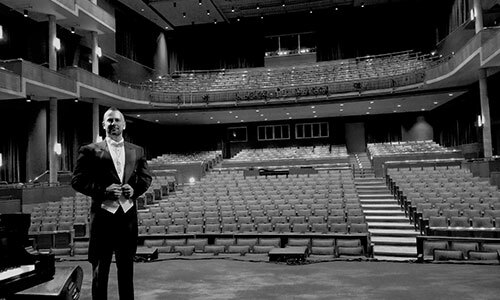 Immediately following the completion of his degree, Terry was hired to teach advanced vocal ensembles at Trinity College, while simultaneously touring England with the Kent Opera. “...a beautiful remarkable sound... [His] voice is incredible! Stunning! Distinctive!"